or Bush Cricket… depending on where you live. Wonderful, I always enjoy watching insects. Great shot! I love to see these little critters. Nice photo! Looks like his legs are made for might jumps. Yes, a grasshopper. Are there still plagues of them as I remember in the 1960/70s? 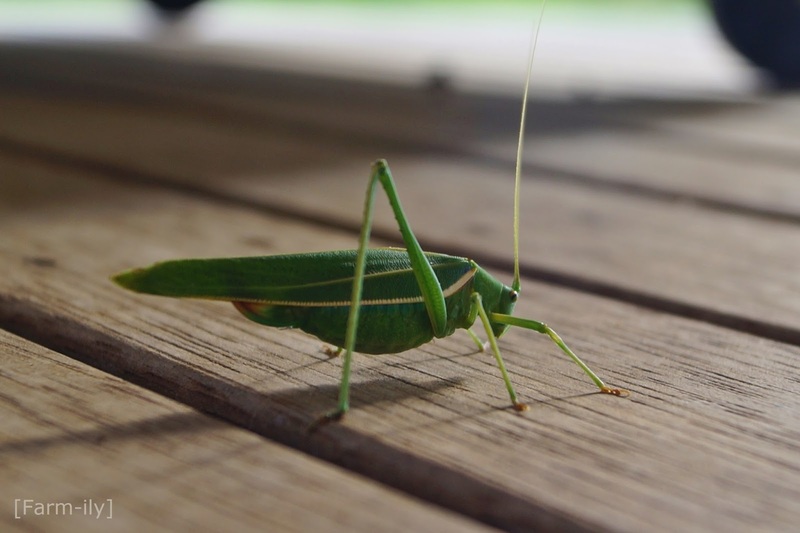 I remember coming across the word Katydid, probably in an English book, when I was young and I had no idea what it was. The katydid is about 3 times the size of a plague locust and are not very common, specially out here... which is just as well given its size. The locust on the other hand is quite common. We have experienced plagues of locusts during the drought years in the 00's that were devastating. They could wipe out a green paddock in a matter of hours, before moving onto the next. Fortunately we haven't had any plagues of that size since, but during spring & summer there is always an odd locust about. So long as it is not eating your crops! I love looking at your photos on the big screen...even an insect I would rather not see! Such incredible details on its body. We call the them katydids, and I think for an insect they are quite cute. Katydids here but I like the other names for them too. Nice shot of this insect.